First seen at the Los Angeles Motor Show last year, the new CX-5 will go on sale in the UK later this year, with a new look inside and out, as well as some extra equipment over the outgoing model. 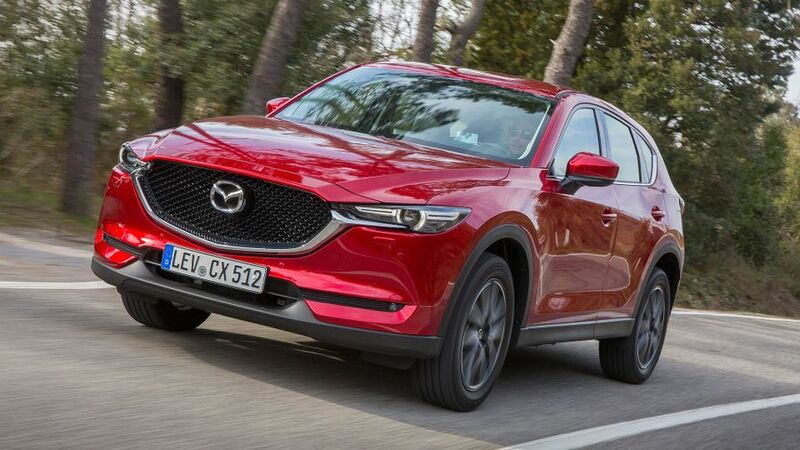 The new Mazda CX-5 SUV will cost from £23,695, the company has confirmed. First seen at the Los Angeles Show last year, the new car’s styling is an evolution of the current car, with slimmer LED headlights, a mesh grille, and a sharper-looking bumper. In profile, the car looks more coupe-like, and the rear end also has a new look. Inside, too, the dashboard has a cleaner feel, with Mazda’s latest infotainment systems, although what hasn’t changed are the sporty three-spoke steering wheel and the three individually-ringed dials in the instrument binnacle. Buyers will have a choice of two trim levels – SE-L Nav and Sport Nav – and every model comes with dual-zone climate control, DAB radio and sat-nav, operated through a 7.0-inch touch-screen display. Beyond this, Sport Nav cars add a reversing camera, electrically adjustable driver’s seat and keyless entry, along with heated front seats and steering wheel. They also have a powered tailgate, plus a new head-up display that projects directly onto the windscreen. In all, the line-up features ten models, and the range kicks off with the petrol-engined 2.0 SE-L Nav at £23,695. This engine comes only with front-wheel drive and a six-speed manual gearbox, but the bigger-selling 2.2-litre diesel comes not only with a choice of two- or four-wheel drive, but also a choice of manual or automatic transmission. You can also choose from two power outputs (148 or 173bhp), but the more powerful unit comes only with four-wheel drive; and, the range’s most expensive model is the 2.2 (173bhp) AWD Sport Nav Auto, which costs £33,195. The full line-up goes on sale on June 30, and will be trying to tempt buyers away from rivals such as the Honda CR-V and the Toyota RAV4. 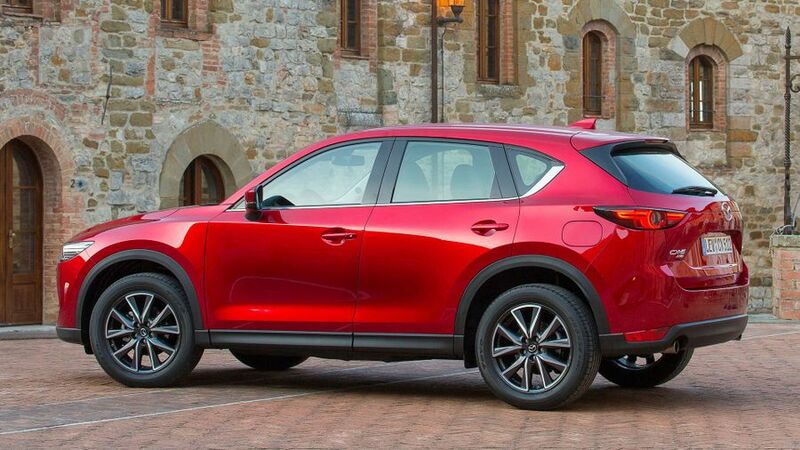 Interested in buying a Mazda CX-5?